Nokia launched a new smartphone Nokia 8.1 in December 2018. Touchscreen display of the phone is 6.18 inch and the resolution 1080 pixel by 2244 pixel. In India, the price of Nokia 8.1 starts from Rs. 26,999. 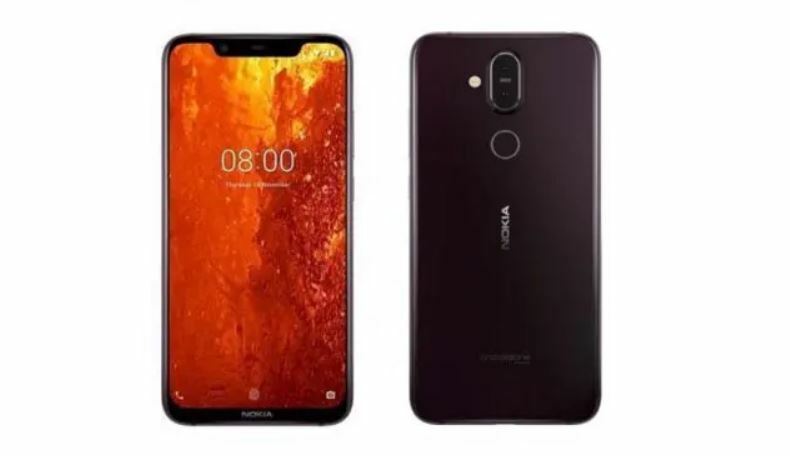 Nokia 8.1 is powered by 2.2GHz Octa-core processor and it has 4GB RAM. The internal storage is 64 GB but it can be expanded 400GB via with micro SD card. The phone provides 12 megapixels (f/1.8, 1.4 micron) in primary camera, 13 megapixels in secondary rear camera and 20 megapixels in front camera. Nokia 8.1 runs Android 9.0 pie. The battery power is non-removal Li-Lon 3500mAh and battery charging is fast. The weight of the phone is 178 grams. The phone gives the facility of dual SIM and it also supports Nano SIM. Wi-Fi, GPS, Bluetooth, USB type C, 2G, 3G, 4G are included in the phone. It has the facility of face unlock system, fingerprint sensor, gyro, accelerometer, proximity, and compass. The body builds with glass and aluminum frame. The colors of Nokia 8.1 are blue, silver, steel and copper.